The Ebola virus may be terrifying, but it's not the most dangerous virus in the world. It isn't HIV either. Here is DW's top ten list of the most dangerous viruses. 1. The most dangerous virus is the Marburg virus. It is named after a small and idyllic town on the river Lahn - but that has nothing to do with the disease itself. 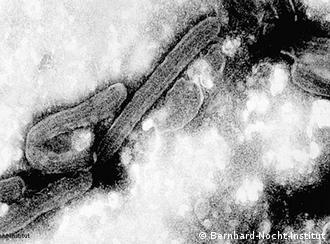 The Marburg virus is a hemorrhagic fever virus. As with Ebola, the Marburg virus causes convulsions and bleeding of mucous membranes, skin and organs. It has a fatality rate of 90 percent. 2. There are five strains of the Ebola virus, each named after countries and regions in Africa: Zaire, Sudan, Tai Forest, Bundibugyo and Reston. The Zaire Ebola virus is the deadliest, with a mortality rate of 90 percent. It is the strain currently spreading through Guinea, Sierra Leone and Liberia, and beyond. Scientists say flying foxes probably brought the Zaire Ebola virus into cities. 3. The Hantavirus describes several types of viruses. It is named after a river where American soldiers were first thought to have been infected with the Hantavirus, during the Korean War in 1950. Symptoms include lung disease, fever and kidney failure. 4. The various strains of bird flu regularly cause panic - which is perhaps justified because the mortality rate is 70 percent. But in fact the risk of contracting the H5N1 strain - one of the best known - is quite low. You can only be infected through direct contact with poultry. It is said this explains why most cases appear in Asia, where people often live close to chickens. 5. A nurse in Nigeria was the first person to be infected with the Lassa virus. The virus is transmitted by rodents. Cases can be endemic - which means the virus occurs in a specific region, such as in western Africa, and can reoccur there at any time. Scientists assume that 15 percent of rodents in western Africa carry the virus. 6. The Junin virus is associated with Argentine hemorrhagic fever. People infected with the virus suffer from tissue inflammation, sepsis and skin bleeding. The problem is that the symptoms can appear to be so common that the disease is rarely detected or identified in the first instance. 7. The Crimea-Congo fever virus is transmitted by ticks. 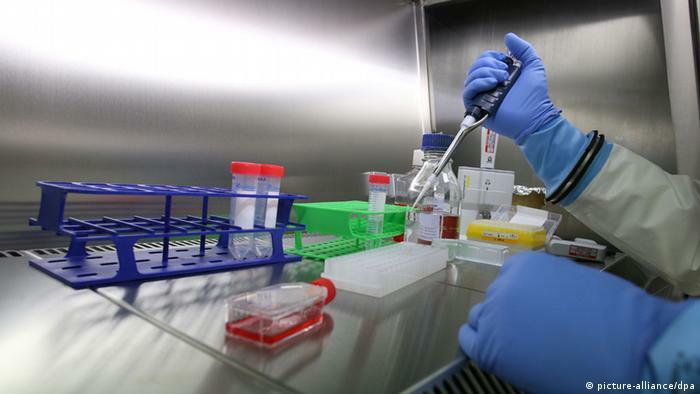 It is similar to the Ebola and Marburg viruses in the way it progresses. During the first days of infection, sufferers present with pin-sized bleedings in the face, mouth and the pharynx. 8. The Machupo virus is associated with Bolivian hemorrhagic fever, also known as black typhus. The infection causes high fever, accompanied by heavy bleedings. It progresses similar to the Junin virus. The virus can be transmitted from human to human, and rodents often the carry it. 9. Scientists discovered the Kyasanur Forest Virus (KFD) virus in woodlands on the southwestern coast of India in 1955. It is transmitted by ticks, but scientists say it is difficult to determine any carriers. It is assumed that rats, birds and boars could be hosts. People infected with the virus suffer from high fever, strong headaches and muscle pain which can cause bleedings. 10. Dengue fever is a constant threat. If you're planning a holiday in the tropics, get informed about dengue. Transmitted by mosquitoes, dengue affects between 50 and 100 million people a year in popular holiday destinations such as Thailand and India. But it's more of a problem for the 2 billion people who live in areas that are threatened by dengue fever.